Simon Says Stamp and Show: Simon Says Stamp and Show a Bit of Brown! 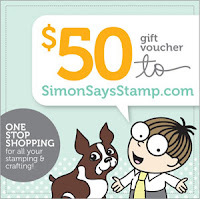 Simon Says Stamp and Show a Bit of Brown! Hello Everybody! Thank you for playing along with our last Challenge! The winners will be announced this Wednesday .... so don't forget to check back ... this could be your winning week! This week Simon Says Stamp and Show ... A Bit of Brown! If you want to join in the fun ... all you need to do is ... make something ... anything ... with some brown on it ... pop it on your blog ... and come back here and link up so everyone can see what you made! Before you take a look at what the Design Team came up with... I just wanted to Say a big Thank you ... This week will be my last post here on the Challenge blog ... I have had a wonderful few years here ... so Thank you to the amazing Heidi and her wonderful team at Simon Says Stamp ... Thank you to my fabulous and inspiring DT members ... past and present and Thank you to everyone that has taken part in our challenges and made them so much fun ... I have had a lovely time! You will be pleased to know that an uber talented, amazing and creative artist is already working hard behind the scenes to continue bringing you your weekly challenge and will be announced very soon ... so watch this space! Sarah decided it was high time to play with her Alcohol Inks and Steampunk Stamps. She perused her Compendium of Curiosities 2 book and went for Tim's stamping onto metal foil and glass fragment to portray her Eccentric Gent adding that bit of brown with coloured Idea-ology and Sepia Archival Ink. An inky background combined with the Woman Filmstrip from PaperArtsy are showcased in Tracy's artsy piece this week. Distress Inks broken china, faded jeans, chipped sapphire and a touch of vintage photo set the background scene. Candy's Bits of Brown creation is a combination of brown inks, stains and texture. 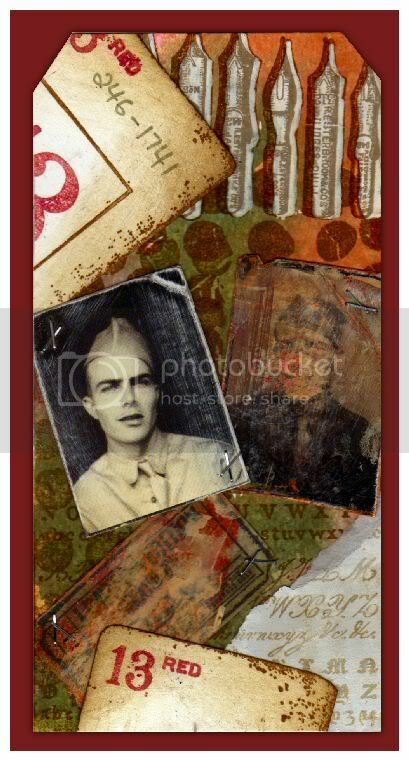 The marbleized background was achieved using Wild Honey, Vintage Photo and Picket Fence Distress Stains. Gathered Twigs Distress Ink provides the distressed look on the corrugated tag background. Even the silver metal Ideaology embellishments take on a brown tone when lightly touched with Gold Alcohol Ink. Terry created a bouquet of flowers in a vase using all the different colours of Distress stains and Distress inks. For her vase and flower backgrounds, she used the amazing Luscious Leaves and Chequered Dots from Dylusions with The Wendy Vecchi's Art from the Heart text. All of the roses are created with the Spiral Blossom One die and are distressed with touches of brown, just like the vase. Finally, Terry finished off with lots Crackle and Glimmer mists. When Dan read the title of this week's theme it made him think of old sepia-toned photos, which in turn led him to consider the fragility of memory and ephemera. This tag is the distillation of all that thinking! 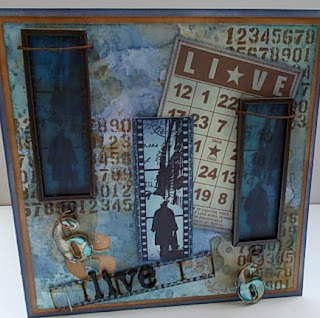 Products he used included the Mixed Media, Artful Artifacts and Creative Muse stamp sets, the tiny attacher, a Coffee Archival ink pad and Claudine Hellmuth gesso. I had great fun with Distress Stains ... Distress Inks ... Paint Dabbers and my Bind-it-all this week to making my screen! 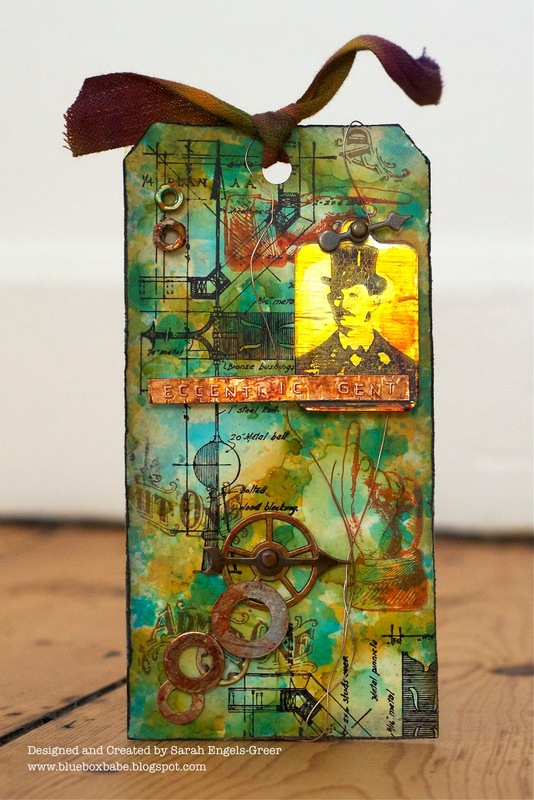 The stamps are all PaperArtsy Hotpicks ... I just LOVE those daisies! The prize will go to a random entry chosen by Random Generator. The challenge will close at Midnight Eastern time on Sunday, 24th June 2012 and the winner will be announced during the following week. To qualify all you need to do is create a new piece of work that ties in with our theme ... post it on your blog ... with a link to this site and then pop a link below so everyone can come see what you made! All the best Linda - can't wait to see who is stepping into your (creatively) big shoes.... love all the DT pieces this week. Fantastic inspiration from the DT. Linda: Thanks for all the wonderful challenges. Good luck in future endeavors. WoW, such gorgeous projects from the Designers! Thank you for another fun challenge!! Wonderful challenge and beautiful inspiration. Thanks. So much fun this week! I was able to make a more mature card. I was out of my box today, lol. Thank You For the Amazing Inspiration DT. Gorgeous creations from all of the DT & the challenge entries are great. Good luck to you, Linda, in your new venture. Fabulous DT projects, all inspirational. Perfect challenge since I need to make some masculine cards. Your DT did an amazing job with their projects...as always! I actually have two entries in my post, a card and a tag. Hope you enjoy them. Blessings! je n'arrive pas à m'inscrire à Subscribe by Email ???? Lovely DT work! Thank you for the inspiration! Congrats to Sarah & family!